My son has always been interested in food and cooking, even insisting on helping by adding seasoning or with the occasional stir. I’m no cook, but exposing my son to food preparation is important to me. I had been wanting to try baking with my son for some time. However, I was worried about the potential disasters: flour in our hair, eggs on the floor and smoke rising from the oven. Then one week brought brutal winter weather, and faced with yet another day inside with an active toddler, I decided to dig out the stand mixer and get baking. This was both my first attempt at baking with my son and my first time baking since he was very young. Though far from perfect, the experience left me with some valuable life lessons. 1. Patience: My son loves to do things by himself, so of course he insisted on helping with everything from pouring the flour to adding the vanilla. He was very neat and careful about it. He took his time. 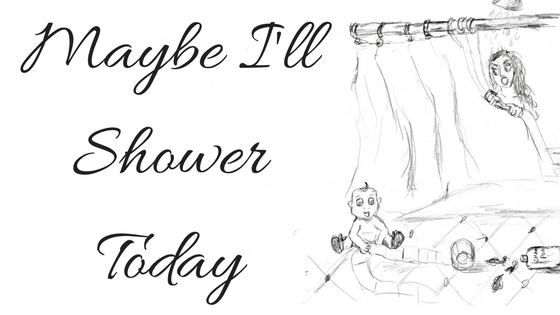 Too often, I’m in such a hurry to get things done that I end up messing it all up. My son taught me that it is okay to take your time and go slow. Eventually, the task will get done. 2. Organization: I tend to be the type of baker that grabs ingredients as needed. This often lead me to grabbing the baking soda instead of the powder or adding salt instead of sugar. Because I was about to bake with a toddler, I knew I had enough to worry about without wondering where I put all my ingredients. So, I carefully read the recipe, made sure all my ingredients were ready and got started. I found that, even with a toddler, this was one of my least stressful food preparation experiences. 3. Joy: My son finds such pleasure in the simplest of things. He watched with wonder-filled eyes as the ingredients went round and round in the mixer. This ordinary action, which I had seen many times before, became one of pure delight. 4. Tradition: As I was baking with my son, I thought fondly of those times when I helped my mom make chocolate chip cookies. They were a staple in our home and will always remind me of my childhood. I now look forward to continuing that tradition with my son. Though, I admit I’m nowhere near as good a cook as my mom. 5. 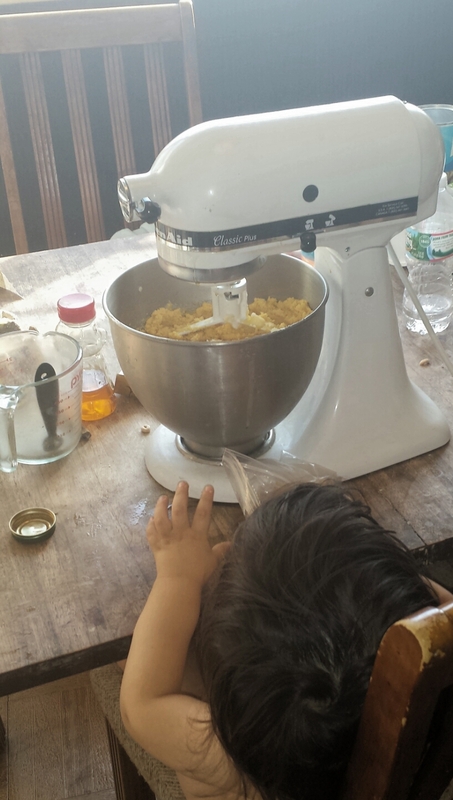 Love: I was a bit frustrated the day I decided to cook with my son. As I mentioned, we had been stuck inside for a few days and my son was misbehaving out of boredom. Before we started baking, my son thought it would be a good idea to unscrew parts of the mixer. Already stressed, I started to get pretty angry. After all, I was trying to do something fun with my son and he was not cooperating. In that moment, I reminded myself that while I may not always like my son’s behavior, I will always love him. As for the actual baking, well let’s just say I won’t be winning any culinary awards. I made use of the pantry and attempted to make a honey polenta cake. The flavor was there, but the cake was too dry. Before I beat myself up over it, I remembered that it’s okay to mess up and that life is all about making mistakes. This is something I learn from my son everyday. This entry was posted in Inspire and tagged baking, children, family, food, life lessons, motherhood, parenting on January 8, 2015 by Maybe I'll Shower Today.